Located between Yangon International airport and the historical downtown, Novotel Yangon Max is close to Shwedagon Pagoda and many embassies. Guests can choose from three restaurants and four bars. To relax and rejuvenate, there is a state of the art fitness centre, a spa, yoga room, swimming pool and rooftop tennis court. The 366 contemporary rooms offer a large flowing space in which to live. Guests staying on executive floors will enjoy additional amenities and access to the Premier Lounge. The main ballroom with its 12-meter high ceiling hosts up to 700 guests banquet style. The second ballroom welcomes up to 300 guests. 1 conference room and 6 meeting rooms are available as breakout spaces or for group meetings and events. I had a whole day meeting so u staying at the Lounge the whole day. The staff there was truly nice and sweet to attend my need. It was a great experience. Emily, Kathy and Kyawzawa were very attentive and thoughtful. Hello I would like to know how would be the decoration for monthisversary couples ? I would like to see floral decorations on bed and bathroom. Could I see it as I want to make booking? Thanks in advance. Dear Kay Zin M, Thank you for your interest staying at Novotel Yangon Max. We can do in room decoration for anniversary couple. When you make a reservation, kindly input that you are celebration special occasion and we are very happy to arrange it. Yes, there are mini-refrigerators in the rooms. Yes, the gym is well equipped, and the classes I've taken have been really good: power pump, yoga, body balance and Zumba. Tennis courts, I've heard, are hard to book in the evenings with the manager and his friends play, but during the day should be easier. I agree with John C - the pool is one of the best in Yangon, with a great view for sunsets. Is it easy to get to the city centre from the hotel? It is easy to get the taxi from hotel. But the traffic in Yangon is getting worse. What plug sockets do you have in the hotel? Will I need to bring an adaptor if travelling from the UK? The hotel room has different type of plug socket. It support UK type as well. I am traveling from Singapore and use the same power plug as UK. 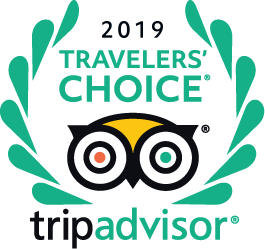 "One of the higher rooms with a view of the Shwedagon Pagoda is ideal"
"Executive floors are worth the upcharge"
"Executive floor and suites well worth extra charges"
"Premier lounge and rooms are well worth the extra expense"
"Higher floors offer better views naturally. Request for side with view to Shwedagon temple if that is your preference."